Hello Friends! 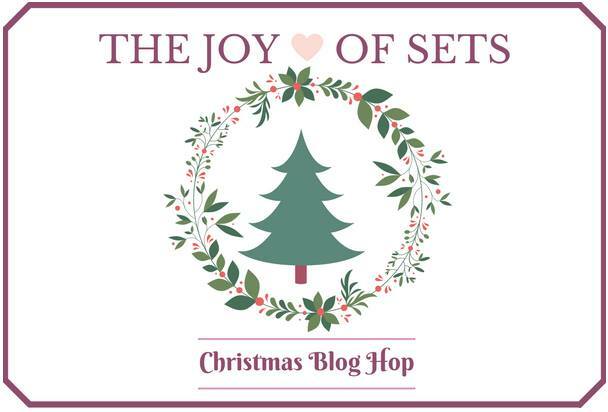 I am participating on the first Blog Hop from The Joy of Sets hosted by Fiona Whitehead, how exciting is this!!! The theme of this first blog hop is Christmas, which is one of my favorite type of cards, along with Birthdays!!.. anyway, here is my card.. I used the Christmas Pines as well as the Santa's Sleigh stamp sets to create this card, I love how the sentiment looks!! the little garland around the sentiment really makes it pop up, don't you agree? Thank you so much for stopping by my blog during this blog hop, please make sure to visit all the other participants on this blog hop, you sure will love all the Christmas samples that the group put together. And if you want to get any other items I use to make this card you can click on the images below!! the link will take you to my online store where you can get any of these items. You've used one of my favorite sentiments! And you're right, that bit of garland around it is a lovely touch. What a gorgeous card - thank you for being part of our first ever Blog hop! Love this card, the colours work so well together.